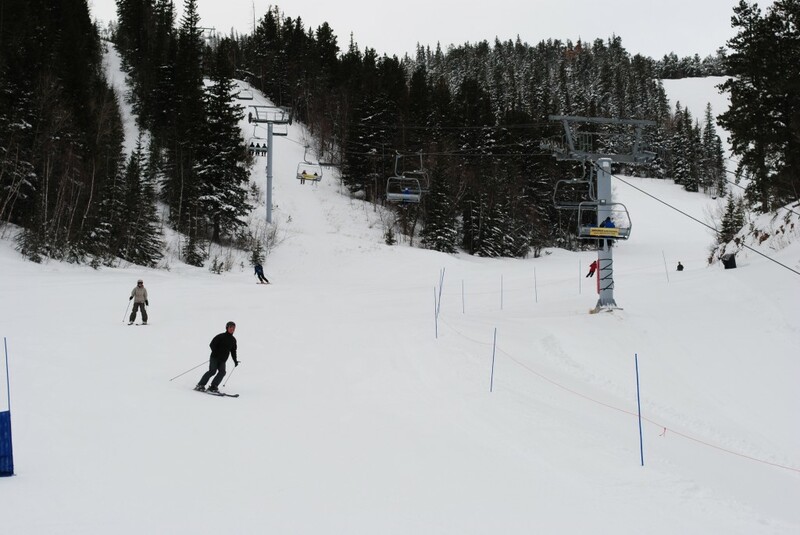 Terry Peak has 450 skiable acres and 1,100 ft change in elevation, giving you plenty of opportunities for fun in the snow. Terry Peak opened in 1938 and has evolved to South Dakota’s largest ski area. The mountain is home to two high-speed chairlifts and a terrain park. There are two day lodges, Stewart Lodge and Nevada Gulch Lodge. Stewart Lodge is the full service lodge with the Stewart Lodge Cafe and Bald Mountain bar upstairs and on the main level you’ll find rentals and lift ticket sales. The Nevada Gulch Lodge has the Dark Horse Saloon, plus you can buy your lift ticket there too. How do you get to Terry Peak? Just head south out of Lead on US Hwy 85, turn on the Nevada Gulch road about a mile outside of Lead and follow the signs. what is the alavation? of terrypeak? how far is terry peak from hot springs sd? Elevation 5900 feet at the base to 7000 feet. Terry Peak is about 90 miles from Hot Springs or about 2 hours.